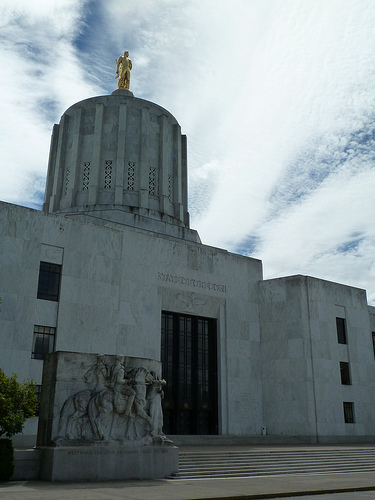 On June 19, 2011, Governor Kitzhaber signed House Bill 2371 into law, ushering in a new era of vaccine stewardship in Oregon. The law requires that VFC providers have at least one staff member who has completed a free, online webinar training session on vaccine handling, storage and administration. VFC providers also have to report immunizations to the statewide ALERT Immunization Information System. This law represents an excellent opportunity for the Oregon Immunization Program (OIP) to assist providers in ensuring Oregon’s vaccine supply is accounted for and used to its fullest potential, as well as saving millions of dollars in wasted vaccine and revaccination campaigns. OIP is working on an implementation plan and Oregon Administrative Rules (OARs) that will make the transition into the new law as easy and beneficial to providers as possible. OIP will send out OAR drafts for input. The rules will be phased-in over an extended period of time.